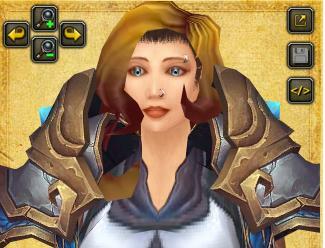 Look at my awesome dps.. hang – on what’s this spellweave? I am not as awesome as I appear. 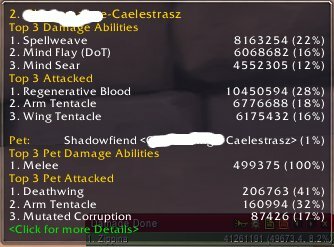 Spellweave seems to have given me an awesome dps boost. This Shadow priest ( not me) got an even bigger kick out of it. I now have 5 toons I’m running through LFR, My hunters and Priest are always great in comparison usually near the top, or chasing the tops coat tails – ( unless there are three holy priests and then it will vary by who gets their Sanct down first. ( 4 piece for priests and Sanctuary is awesome. It’s pretty much set and forget until cooldown comes up) . Shammy is now healing, and doing better at that then when she was Dpsing, she was never baaaadddd.. just never good, and my Mage is running it sporadically. Because x10 wings a week is a little bit of a time sink, I don’t get them all done, and sometimes I am waiting 21 min for a dps Queue, and I am killing the same bosses, I’m getting pretty bored. I have never had 5 toons at this level of gear ever. Zahraah now has both her dps and heals 4 set, the rest are working on getting more then a 2 set, most of them have at least one DW weapon, and both my hunters now have the Bow and the polearm. This is all great, but to what end. being awesome in LFR? 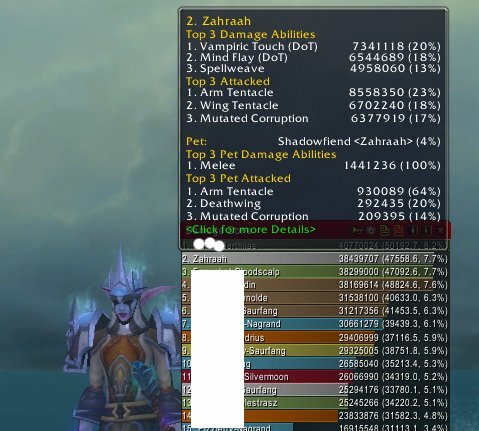 I’ve been doing the LFR wings alternating dps/heals – adds variety, and it’s quite easy to get complacent, and think that maybe being on the top of the meters in LFR is a good thing, and then you get bought back to reality when you do a firelands or a BH and you really are just average when being pitted against real raiders in real raid gear. This kind of shatters any illusions of grandeur you have. 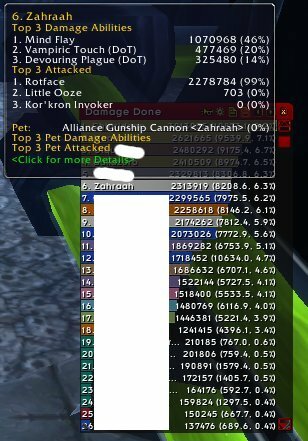 How to get that #1 dps spot in LFR – Boss by Boss. Why would I join a raiding guild ( and actually raid in said raiding guild ) when I can do LFR on 4 toons a week and have endless excitement. Don’t forget to food and flask, make sure you have all the buffs you can get. Ask the locks to give you their haste buff, or rogues to give you tricks, don’t be afraid to ask, and ask often. Being demanding may encourage them to give it to you to shut you up. No clicking on Lightwells, and grouping to stand on the healers AOE, why should you move or make any effort to keep yourself alive it’s your job to dps and carry the rest of the scrub add killing guild members raid members. Your Uber dps is what wins all the fights. If you do die don’t forget that you are important, even if you managed to pull agro before the tank could. Tell them to Battle rez you. Tell them again and again, until you get one. If you die on Deathwing because you ‘fell’ demand a healer comes back to get you. Don’t forget to link your Recount after every boss to reinforce in everyone’s mind how awesome you are. Ignore the resonating crystal – if you get targeted, even if your line is red. Do not move. It’s only LFR and the healers can heal you through it. After he casts You have about 2-3 global cool downs before the blood of the earth ( that black stuff ) chases after you. Don’t run to the spines as quickly as possible, if you get hit there will be a healer in range to heal you up. Pick a spot and don’t move. Don’t group up so that it makes it easier for the healers to heal or dispel you. They won’t let you die anyway. Stand in anything you feel like, frost circles, whirlwinds, lots of Aoeing opportunities on the trash never mind about agro, the tanks have you covered. Your still going to need to watch out for the spines or you will die, and dead dps does no dps. If you’re a pet class be careful of the spines, and of the lightening phase you may lose your pet – and lose dps..
Don’t click that purple swirly thing, the healers will just heal you up, and no one will remember when you miss it every single time. You don’t have to do much besides stand there and dps and use your cool downs. Range is supposed to target the drakes – don’t. That will involve changing targets. So just focus on the two dude in the center. When a large purple swirling thing hits the deck, ignore it, you don’t need to move. You still will need to pay attention to the dark purple circles. Don’t stand in them, if you do it can be difficult for a healer to heal you through it. It doesn’t matter if you kill more stuff then your supposed to, dps freely. Just close your ears to the “STOP DPS YOU NOOBS,”STOP ” “OMG Stop!! !” if its red shoot it, and since more tendrils killed means more corrupted blood to dps. If there is nothing up to kill dps the Amalgamation (s) as you feel like. Don’t swap to the corrupted tentacle, or the bolt when it spawns. Stay on the Wing for as long as possible, until the tank screams at you ” SWAP” If your melee and you hide behind the back you might be able to escape detection. Aoe where possible. Don’t single target anything, the healers can heal through everything. When you reach the last phase ignore all sets of adds, just focus on deathwing. Shadow Priest T10 4 set bonus makes our Mindblasting redundant. You need Shadow Priests Mindblasting to Proc replenishment. That same priest was kicking our butts on the 1st 4 bosses however. They Pst’d me before we hit Rot and Fester telling me my Mindflay percentage was lower than it should be – offering fellow shadow priestly advise. I explained I was getting used to my 4 set, and I know I was mindblasting more often than I have to with the 4 piece, but the healers had complained about reduced replenishment anyway . Then I thought Its a pug GDKP. They aren’t going to check who does what damage on what – unless we wipe on something silly – its damage that counts, and then it became important to me. I checked their spell casts, and not one Mindblast. So I thought – I can do that. I could be the fail dpsing Shadow priest coming 3rd -(was still top 10 I think for the Marrow, Lady ,and Saurfang so I wasn’t far behind). – that proc’d replenishment when the others didn’t ( and as if they would ever check mana gained, and who gave it to them) or I could do what was best for me. And I now have one token, so I will be replacing one piece of T10 with an upgrade. I pst the Shadow priest after this change in dpsing strategy – that I felt dirty not mindblasting – but it sure made a difference. Eg I was chasing their coat tails. They never replied, but I know what I didn’t do to get that result. I DO feel dirty – but maybe I shouldn’t. We aren’t the only class that can proc replenishment. Why Should I gimp my dps just in case. It becomes a problem if no one has it – but it wasn’t a problem then. Other classes don’t necessarily know the intricacies of each other – so I think at this point – I shall do what is recommended – and mindblast a lot less. Your Healer should be dpsing too.. So with content getting easier you would think that I wouldn’t moan so much at being kept challenged by people who want to experiment in dungeons. As I have two 80 priests, I am much more confident Dpsing as a Holy spec on my main Zahraah – with more mana, better gear she can hot up a standard tank, throw a mend every now and then, flash a little, then dot up the boss. Holy fire a mob, ( love the lightening bolt spell graphic) do a mindblast, Holy Nova a pack – or even mind sear! I have never lost a tank because I was dpsing. I may have lost a dps though when they stole agro unexpectedly. I also know you’re wondering if my desire to dps causes me mana issues, and no – I will only dps with a strong tank – if its a weak tank needing more heals my attention is always on them . On Ostara my Holy only priest I am not as geared, so when healing on her gear I’m not as confident, but depending on the tank, she will do what she can to add to the damage. I won’t go disc to dps/heal – I like healing as holy. As a holy dpser we don’t get the benefits a shadow spec would get eg replenishment procs, and a real healer would never dare to spec into the Dps points available on the holy tree. However Staying active sure beats standing there with a dopey expression on my face. Healers! I call you to arms. Or wands or staffs or whatever. and I want screenshots. I shall endeavour to do the same. We measure a dpser by how much dps they do as it usually means they have been active, and that they are continually casting. Measuring the success of a healers dps will not be as easy. We are otherwise occupied some of the time, but damage done should suffice for now. Then one day ….. I shall enter a LFG in Holy Spec as a DPSER! *shock horror* then I can be the scrub dps that people laugh at. Itsy fish – Big Ocean. On my server I’m an Itsy fish in a big ocean of better geared and skilled players, add to that everyone seems to have bought their shadow priests out of the closet with the 3.3 changes. But this is a boast dps post. I guess because feeling good about my damage is more important to me now since I’m not raiding regularly, and can’t compare often. I think I am going to hit a hurdle once everyone gets their Icc gear, and I will be another ‘casual’ in ok gear – but not even close enough to what is available. unless I join a guild with free raiding spots. Following your friends only works if you get to play with them. 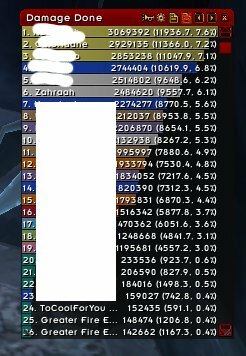 I grabbed a Voa pug, and you can see from the numbers that there were huge gearing/skill gaps – and I had some awesome competition by way of another shadow priest who made me work for it, but yeah probably my best effort yet. So I’ve QQ’d about loot, now I want to QQ about the Spell range of a Shadow Priest. So What is the point of of having all our other offensive spells at 36 ( inc that 20% range increase) When we can’t use it. 24 Yards is awefully close to any boss with an AOE. Most recommended Spell rotations for a shadow priest Start with a 36 range Spell, but for the fans of Sticking VT up first, its not an instant cast, whereas sticking Shadow Word Pain up first lets you run in that extra couple of yards to get range. Devouring Plague – 30 Yards – 36 yards? This one seems to give you best opportunity to get into range, it also allows you to start the dot up on CC’d Mobs, as Vampiric Embrace ( VE ) does not break CC, and it also seems to best use Vampiric Touches for Mana regen. Both of these are heavily reliant on Shadow Word Death as being part of Spell roation, I would like to see a priest with DPS comparable to other DPS classes where Shadow Word death is not used, because depending on the fight at least in BT and Hyjal so Far, you really don’t want to hurt yourself for upto 4k damage ( my swd crits at the moment with a boomkin) and then get a spine from Naj, or Entombed by winterchill.. or hit by a Volcano in supremous or come under a reign of fire for or have death and decay underyou, or blown up by someone with no mana at Kaz. Because then you are dead. And The Dead do not do good DPS..
Just about the entire proceeds of selling my Epic Leatherworking Pattern that dropped one morning at 3am has gone towards leveling my Tailoring to 375 and the creation of the Frozen Shadoweave 3 set. I’ve yet to test it out on a Raid – getting into a 25 man at the moment is hard due to some class and sign up oversupply so its unlikely I will be able to do a serious test in the next few days but a soon as I have time I will do a Heroic. I upgraded my Pvp Belt by cashing in all my saved up tokens for extra honour. “yeah” It has nice Stam and ok Spell damage but its a PVP Belt, however now If I get the belt of blasting that would add about another 20 Spell damage but I will lose 49 Stam. /cry. Its nice to have higher spell damage, but I was noticeing when we were doing Tk the other day, when completely raid buffed, my Crits on Shadow word death were taking a 1/3 of my health off me, and that often gets dangerous. I will only SWD when I feel ‘safe’ but sometimes the amount of health gone makes me afraid of killing myself in a raid. How dumb would that be. Like the time I almost SWD during curators ivocation. Crit x 3 damage. Ow. I remembered and pressed another key instead just in time. But one comment I have on its set bonus of healing for 2% for all Shadow Damage I do, ( and this might be different when in raid just for sheer number of castings. ) is its crap. With Normal castings its only about 28-34 Healing for each spell, and If dotting it does like 10 healing a tick. 10. Thats crap. Basically for every 100,000 Damage I do. I only get a health return of 2000. 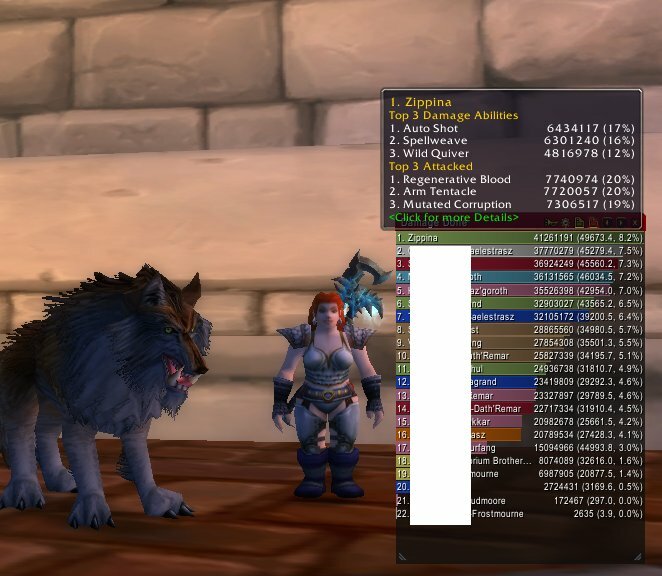 I’ve been pouring over a WWS Stats report of a Raid I was in a week or so ago, and 1stly comparing myself to the Class Leader who is also a shadow priest – but with better gear, and he cained me overall – and I trying to work out how much healing I would be doing for myself and its really not alot for a boss fight – I do want to test it out, and my new damage set. Another thing of note was that I was #15 on this particular fight for damage. Part of it could be attributed to my gear at the time, and that most people in the raid are better geared then me, the other 10 were tanks and Healers.. ( that seems an aweful lot for healers.. mmm will need to recheck that.. ) and one of the fights Void Reaver where you get that explosion Buff, and you need to run away from people. I keep having people Run INTO me, and because im extra squishy my habit, and what kept me alive was running out instead of running round.. so I was out of range for DPS while running back in.. and also maybe another thing that probably effects my Dps though over all is my tendancy to respond to healing emergencies -and to do that I stop dps. Some of my responses would be unessasary but for the most I’ve already started healing before the cry goes out, Z can you heal..
One thing in that report shows that while his Vamp embrace outhealed me ( most probably due to more damage output) he not once cast a greater heal. Where as I have cast all my healing spells at various times as required.